The Cassini spacecraft is one of NASA’s greatest achievements… exploration of the planet Saturn, its moons and its rings. But all good things much come to an end. 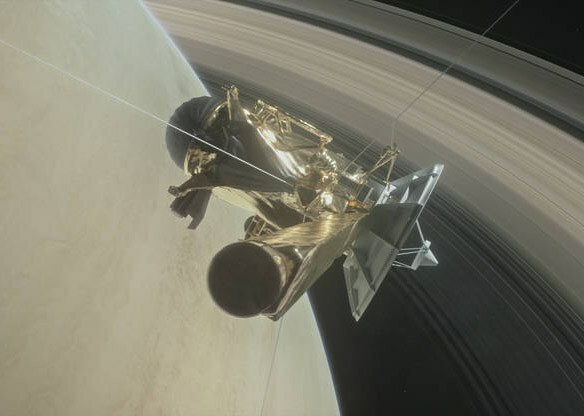 After 20 years in space, Cassini is running out of fuel. Saturn and its rings in this artist's rendering. But last night, just before midnight at the Jet Propulsion Lab in California, Cassini chalked up another accomplishment as the spacecraft passed between Saturn and its closest ring for the first time. Astrophysicist and science writer Ian O'Neill reflects on what he calls a "bittersweet ending." How would Trump re-negotiate NAFTA, "the worst trade deal ever"? During his campaign, Donald Trump called NAFTA "one of the worst trade deals ever made." Yesterday, his staff said he was ready to pull America out. North Korea: Are US provocations making things better or worse?